Every week, we feature a student group on the JHU Center for Social Concern Facebook page to highlight the great work our students are doing in the Baltimore community. Keep reading to learn about their commitment to community service along with our fabulous student group interns who make our programs a success! You can also view our student groups page to learn more about their expectations and how to join their group. Project Prevent is dedicated to reducing and eliminating disparities in health care delivery. 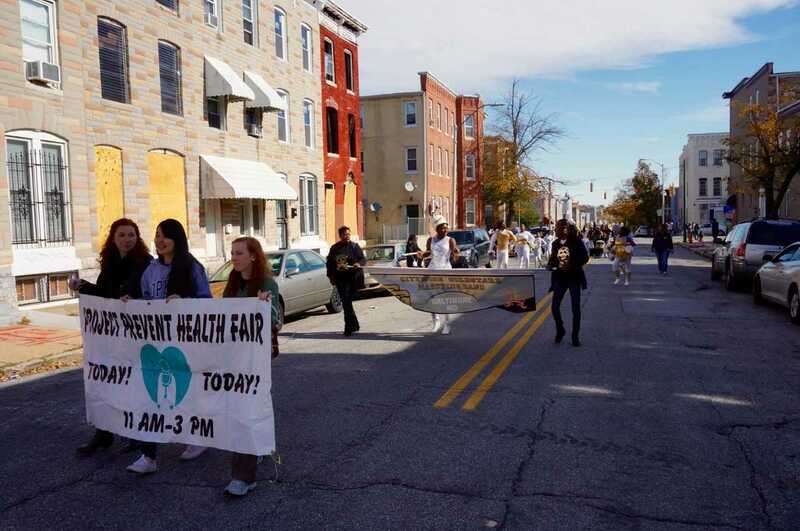 The group organizes bi-annual health fairs at the Oliver Recreation Center, providing a free lunch, health information, and screenings administered by local health agencies. Their Spring Health Fair this year is on April 7, from 10:30am to 3pm. They have worked with agencies such as Planned Parenthood of Maryland, Sight Saver, Baltimore Crisis Response, and the Alzheimer’s Association. In the past, they have provided services such as eye screenings, HIV screenings, and Hepatitis C screenings. Hop Help is dedicated to providing students of Waverly Elementary with academic support (through weekly tutoring) and hopes to foster strong tutor-student relationships each semester. Volunteers can tutor at Waverly Elementary on Mondays, Wednesdays, and Thursdays from 4-5pm. The group is partnered with Waverly’s YMCA program. The application and selection process (interviews, etc.) for new tutors takes place in March! Contact Hop Help to become a member and learn more. 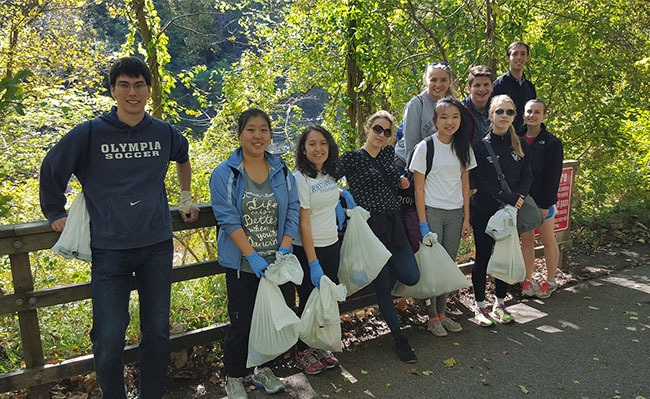 Founded in 2012, The Alliance for Clean Water, known as ACWa to many of our JHU students and the Center for Social Concern, serves as a bridge by which Hopkins affiliates can make a meaningful difference in the natural and urban areas adjacent to them. ACWa is dedicated to the promotion of clean water access, both domestic and internationally. Most of their efforts are focused in Baltimore City and they partner frequently with a great organization, Blue Water Baltimore. 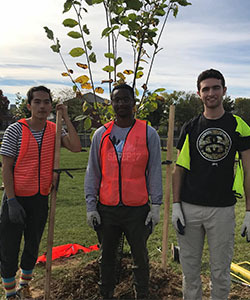 This spring, ACWa will be partnering with Blue Water Baltimore to assist with Project Clean Stream and tree plantings throughout the City. Utilizing the tools at its disposal–environmental art, service, and advocacy–ACWa makes accessible the narrative of human-water interaction, one written in an often unfamiliar grammar of Cartesian divide. Its interests pivot around the dichotomies relevant to water use in Baltimore; water at once exists as a powerful sculpting force in the city’s natural periphery, and as a substance that urban entities can subjugate: channel, purify, bottle. They’ll be doing a big social media campaign for World Water Day so follow ACWa on Facebook or become a new member and join ACWa today! ACWa is hosting their first spring semester clean-up hike on Saturday, February 17, 2018 at 11 a.m. All are welcome to participate and can sign-up here! Habitat for Humanity is a global nonprofit housing organization that works to build and expand access to quality, affordable housing around the world. The JHU chapter of Habitat is currently partnered with Habitat for Humanity of the Chesapeake.Volunteers can work on various construction projects at work sites (ranging from demolition to spackling and framing), and service trips are made 4-5 times a semester to worksites in the Baltimore community. In the span of a few years, the Charm City Science League (CCSL) has grown from a group of 5 mentors to one of the largest mentoring organizations on campus. Its mission is to inspire students to pursue a STEM education. Tutors work with Baltimore City middle school students in the Science Olympiad‘s nation-wide tournament in which students compete in various scientific subjects. 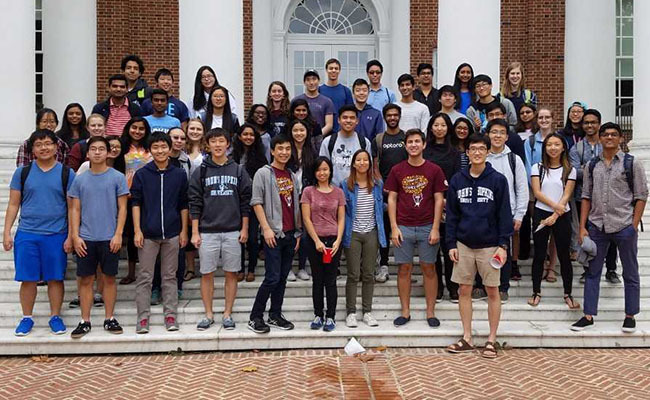 Students who are mentored have competed in the Baltimore Regional Science Olympiad competition, and many have qualified to compete at the Maryland Science Olympiad State tournament. 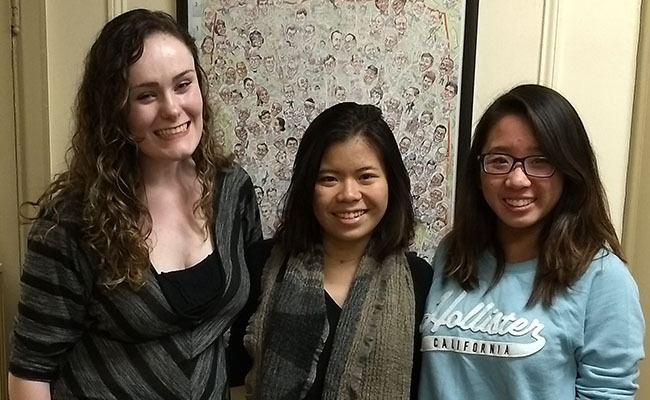 Alpha Phi Omega at Johns Hopkins (APO) focuses on the interconnected nature of social justice issues and strives to serve community-identified needs with twenty weekly service projects. It supports Baltimore citizens in a variety of capacities to ultimately mitigate issues such as food insecurity and lack of resources for Baltimore green spaces. As a service fraternity, APO’s goal is to meet the interests of its 280 members while providing more than 10,000 hours of quality service to our city. It also aims for brothers to be active citizens in Baltimore by following the triangle model of service. Members have opportunities to receive service education and training prior to service, then engage in direct service, and finally participate in reflection activities supported by the Center for Social Concern. The theme for APO’s National Service Week on 11/5-11/12 was Suicide Prevention. During the week, the three pillars of Leadership, Friendship, and Service were integrated into several programs. APO is open to collaborations with other student groups and campus resources so please contact if interested! JHU Food as Medicine aims to show others the importance of a nutritional education for children and the role it can play in preventing future health complications. Members volunteer at Waverly Elementary and Barclay Elementary School 3 times a week. They run after-school nutrition programs for the students, and the goal of the programs is to provide students with nutritional information necessary for them to make the healthiest life choices possible with limited resources. JHU Food as Medicine holds weekly workshops at the local elementary schools on Monday/Wednesday from 4-5 and on Tuesday from 4:30-5:30. The organization also works with Strong City Baltimore. We’d also like to spotlight our fabulous student Group Management Interns who help manage the Center for Social Concern’s student group portfolio. They report to the Assistant Director of the Center for Social Concern and support each other in Strategic Planning and Support. 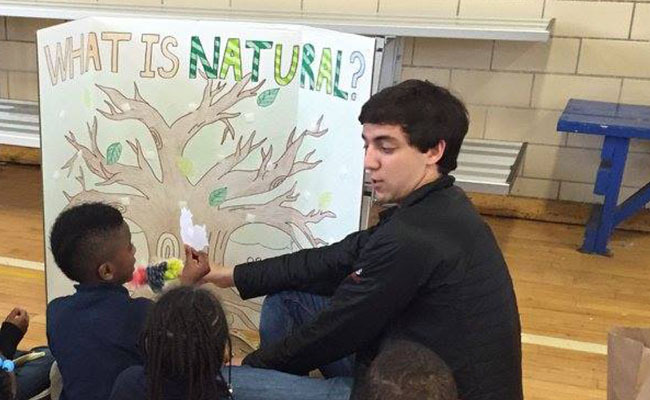 Read on to see how our interns are involved and what they love about working at the CSC and engaging with the JHU and Baltimore communities. Reah Vasilakopoulos ’20: In her freshman year, Reah worked as a student monitor for the Center for Social Concern and later took part in the intersession Urban Education Alternative Break. She loves being a part of the CSC Group Management team because she believes it is so important to engage in service and develop stronger connections to the Baltimore community as a Hopkins student! Della Xu ’19: An Alternative Breaks Leader, former THREAD volunteer, CIIP, and Group Management Intern. As a Group Management Intern, she wanted to be able to advise and interact with the 50+ community service student organizations at Hopkins and learn about their involvement in the community. Throughout her time, she has developed close bonds with her previous and current fellow interns; received invaluable mentorship from her supervisor; and understood many of the complicated relationships between university offices, student organizations, community partners, and more. It is inspiring for her to see all the staff members and student leaders dedicate time to materialize their responsibilities and connections to the Baltimore community, and she hopes that through her job she is able to do the same. Claire Chen ’20: Claire first became involved with the CSC during her freshman year through HopkinsCorps and then again as a participant in the Intersession Alternative Breaks program. She finds Baltimore a fascinating city, and she believes in the importance of fostering sustainable and healthy connections between Hopkins and the communities surrounding it. Through her work as part of the Group Management Intern team, she believes that she and the team can advise and support student groups towards that goal to the mutual benefit of all partners involved.